The project consists of an interactive, tactile laboratory for exploring the historical relationship between freedom and confinement in the United States. Featuring miniature paintings of over 50 watershed historical moments from 1495-2025 that uncover the roots of contemporary mass incarceration, histories of political reimagining and self-determination and future possibilities, the project asks, how is freedom measured? In use in schools, universities, organizations, jails and arts institutions across the country, the project facilitates an evolving public history that bridges social action, new media, painting, research, and radical pedagogy. It developed out of a workshop tool created for an art project in the San Francisco Jail which addressed the impact of incarceration on families. 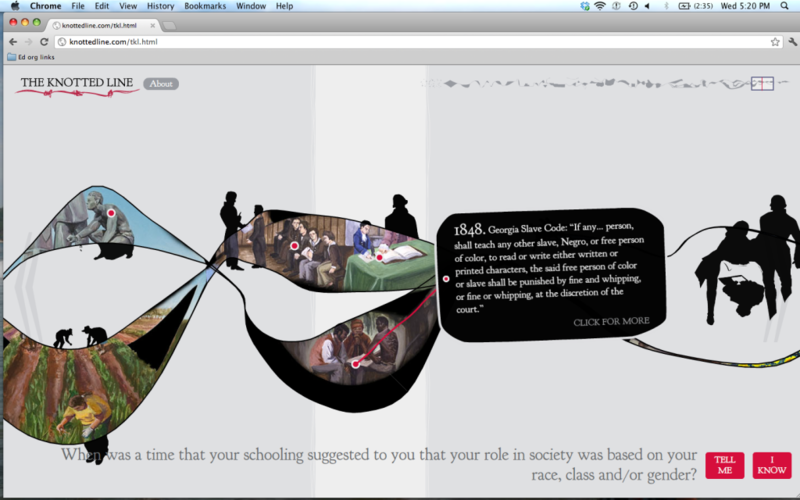 Conversations with Bay Area educators and artists clarified the need to expand the initial workshop tool (a hand-drawn timeline of the history of the prison industrial complex) into a more accessible and deeply researched online form. After completing the website, the initiator worked with educators to design workshops and projects using the Knotted Line over 2013. These projects were compiled in a curriculum that was then distributed to hundreds of educators across the country. Create accessible, engaging visual tools for learners and educators that deepen and widen the popular analysis of the prison industrial complex, connect moments and movements of resistance across time, and develop new pedagogical forms. 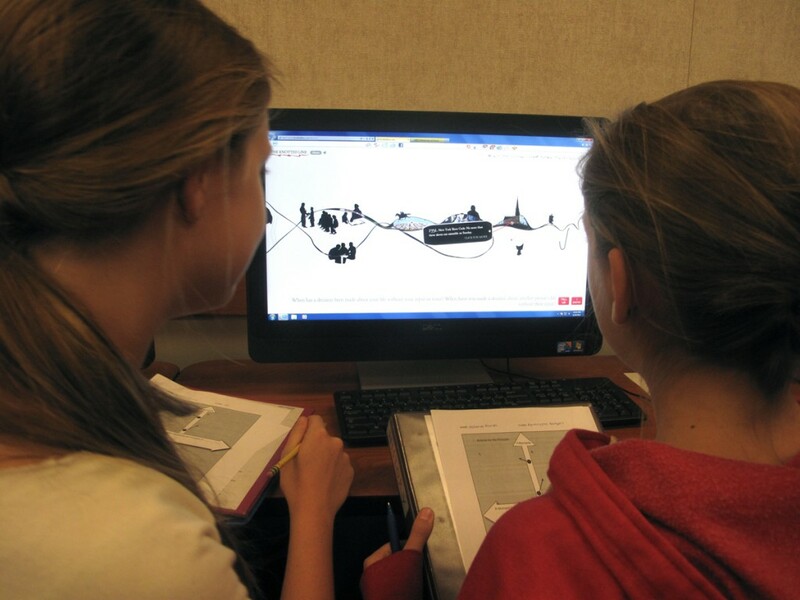 The Knotted Line has been used by hundreds of educators around the country, ranging from middle school to University. Educators and students share that the work produced in conjunction with The Knotted Line transforms how they approach and think about history. The project has been presented in education conferences, at the American Studies Association conference, the Allied Media Conference and numerous other locations for educators, media-makers and activists. In its first year, the project had over 7,000 site visits and was in use in over 20 schools. The curriculum was distributed to 100 educators (in print form) as well as available for free online. Users ranged from private school 7th graders to high school students at San Francisco juvenile hall to UC Berkeley 3rd and 4th year Ethnic Studies students.